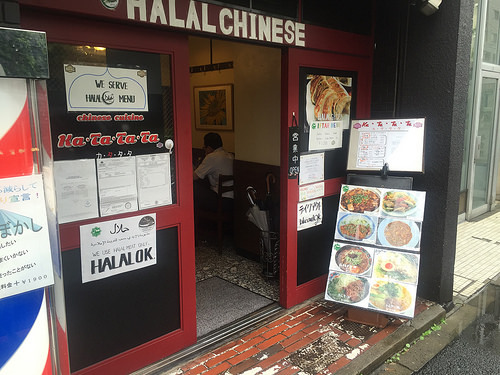 So far, there are few Muslim people living in Japan, so there are few restaurant which got halal certification. 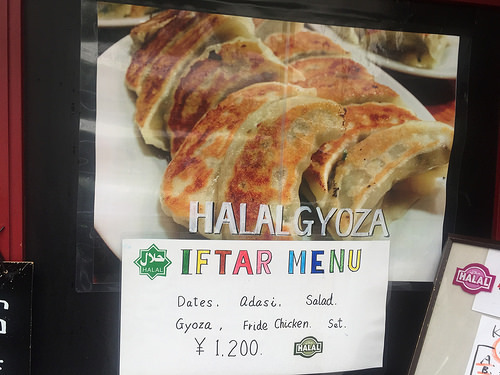 I would like to introduce a gyoza restaurant which got a halal certification. That is “Katatata”, which is in the back side of Roppongi Hills. 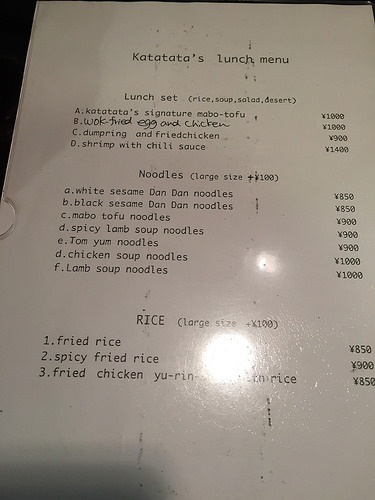 You can order meals with your mind at ease, because there is a menu written in English. 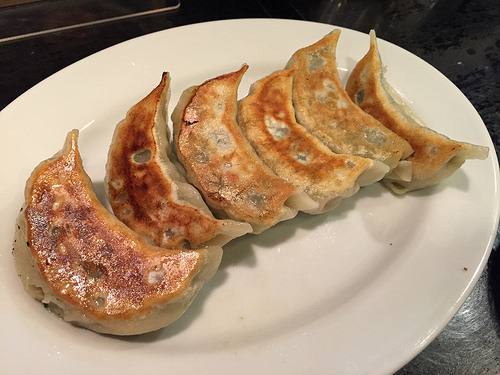 I would like to recommend Halal gyoza (dumpling) and Spicy lamb soul noodles. First, here is Spicy lamb soul noodles. 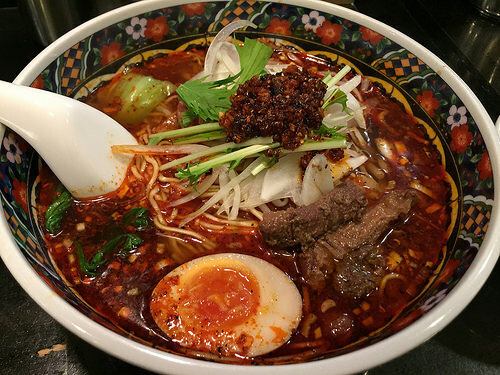 There is lot of chili oil on the red soup.The noodle is thin one and it cathes the hot soup well. It tates excellent. But hot.You sweat a lot because they are so hot and spicy. Now about the gyoza.It looks as if it is a perfect Japanese style gyoza. Of course, it uses no pork meat. Instead, they use minced lamb and chicken that has Halal arrangement. They use cabbage and celery making good accent of odor. It was very surprising that they are realizing almost perfect Japanese gyoza. These are dishes that Muslim people visiting Japan must eat no matter what before they go back to their home countries.